The Arts and Crafts Movement began in Britain in the 1880s, but grew to have a significant influence on architecture and design in Europe and America. It shaped the work of Frank Lloyd Wright and his early international contemporaries at the beginning of the 20th Century. The Arts and Crafts Movement took its name from the Arts and Crafts Exhibition Society, founded in 1887, but it encompassed a range of different artists, workshops and manufacturers. The British Arts and Crafts Movement was a reaction against the Industrial Revolution. The Industrial Revolution brought efficiency and speed to Britain’s factories, but many artists and designers felt this came at the expense of quality and craftsmanship. Artists, designers, and writers all spoke out against the mass-produced, poor quality, machine-made products of the day. In contrast, they wanted a revival of traditional hand-made crafts, a return to a simpler way of life and an improvement in the design of ordinary domestic objects. One of the leading figures of the Arts and Crafts Movement was the English designer William Morris. Morris argued that you should ‘Have nothing in your houses that you do not know to be useful or believe to be beautiful’. At his London home, “Red House,” Morris designed a beautiful environment filled with handmade furniture, decorative arts, and murals. A central goal of Morris’ philosophy was the idea that art should improve the lives of ordinary people. To this end he founded a company that produced a wide range of decorative objects for the home including furniture, fabrics, wallpaper and stained glass. Working in America, Frank Lloyd Wright and the architects of the Prairie School absorbed the ideas of the Arts and Crafts Movement. 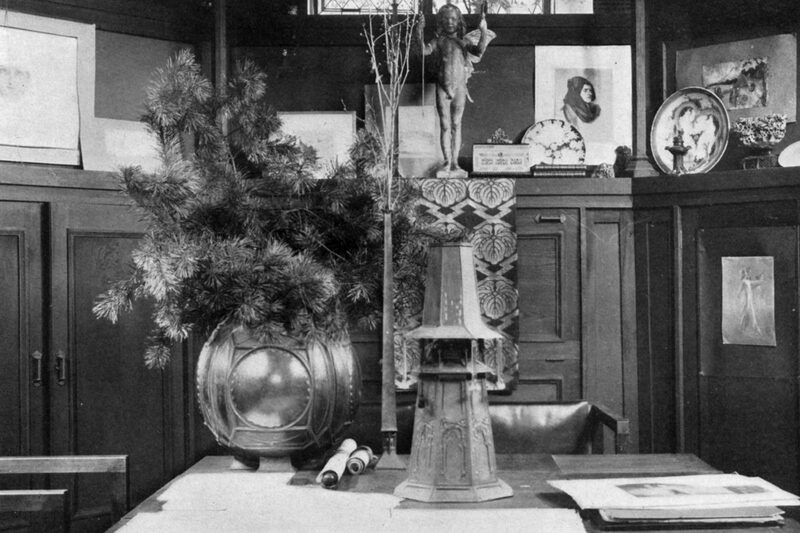 Like other Arts and Crafts designers, Wright designed every aspect of his buildings, from the structure itself to the furniture and light fixtures. His work preserved the natural qualities of materials; it used simple geometric forms without excessive ornament; and was designed in harmony with the world of nature. 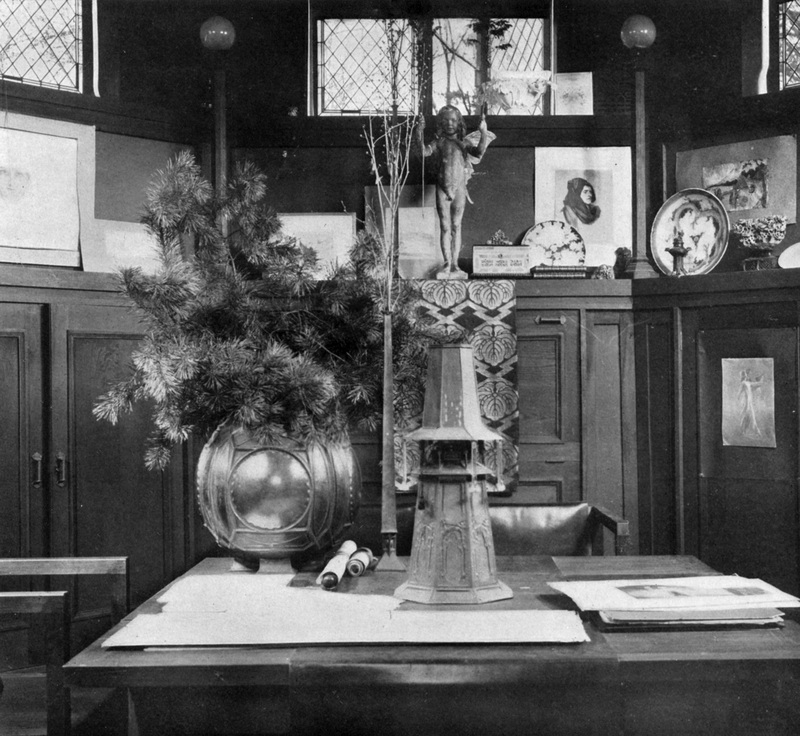 There was one major area of difference between Wright and the British Arts and Crafts Movement. Wright believed that machines could be used to enhance the beauty and quality of his designs. Today the Arts and Crafts Movement is recognized as one of the most important design movements of modern times.